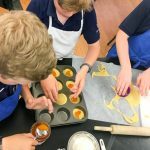 Classes: macarons, French pastry, kids' cooking and wine/ food pairing | eat. live. travel. write. This class requires a minimum of 10 people to run. ***Please note – no refund for cancellations made after April 21st 2019. Tickets are, however, transferable to another person after that date. Think French baking is complicated? 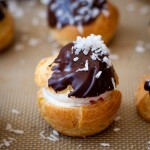 Actually, it’s a jeu d’enfant – so easy even kids can create beautiful desserts! Join Mardi Michels author of “In the French Kitchen with Kids” (Appetite by Random House July 2018) in the kitchen to learn how to cook some classic French sweet treats with your child in this interactive class. 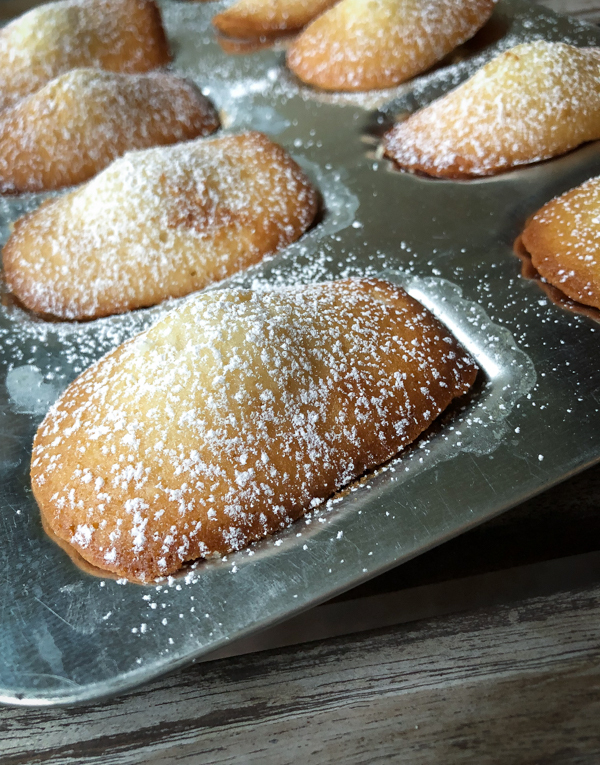 In this class, you and your child will learn to make: Madeleines: Shell-shaped sponge cakes with a lemon glaze; Mini tartes aux fruits: Melt-in-your-mouth pastry topped with crème pâtissière and fresh fruits; Langues de Chat: Thin, crunchy cookies shaped like cat’s tongues; Chocolate Coeur à la Crème: a classic French dessert, so easy you’ll want to make it even on a weeknight! Copies of Mardi’s book will also be available for purchase. Class is suitable for children 7-14. Price is PER PERSON. Children must be accompanied by at least one adult. This class requires a minimum of 8 adult/child pairs to run. Sunday May 5th 2019: Choux pastry made easy! ***Please note – no refund for cancellations made after April 28th 2019. Tickets are transferable only after that date. Sunday May 5th 2019 10.30am – 12.30pm The Kitchen at St Lawrence Market. Click here for more details and to register. 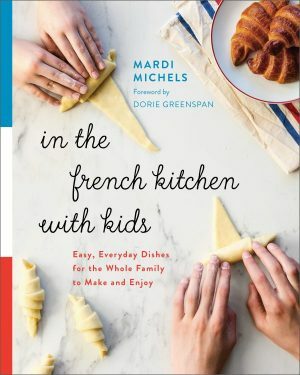 Join Mardi Michels author of “In the French Kitchen with Kids” (Appetite by Random House July 2018) in the kitchen to learn how to cook some classic French dishes with your child in this interactive class. 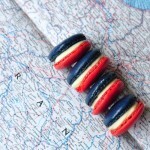 Together we’ll learn to make a variety of classic French dishes! 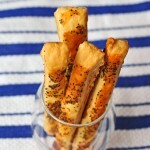 On the menu: Cheesy bread sticks, Mini Quiche Lorraine or Végétarien, Quick and easy ratatouille, Palmier cookies. Copies of Mardi’s book will also be available for purchase! This class requires a minimum of 10 adult/child pairs to run. Sunday May 26th 2019: Macarons for everyone! ***Please note – no refund for cancellations made after May 19th 2019. Tickets are, however, transferable to another person after that date. Sunday May 26th 2019, 10.30am – 12.30pm The Kitchen at St Lawrence Market. Click here for more details and to register. 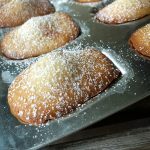 Sunday May 26th 2018: French party treats – sweet and savoury! This class requires a minimum of 12 people to run. Sunday May 26th 2019 20m – 4pm The Kitchen at St Lawrence Market. Click here for more details and to register.